Should schools push all students to go to college or are alternatives like career and technical education (CTE) appropriate? The debate is far from settled. As the “college for all” mantra has taken hold over the last decade, CTE has gotten a bad rap as a dumping ground for underachieving kids. But critics of “college for all” point out that, done well, CTE can motivate students and help them build skills needed in the labor market. Nowhere is this debate more salient than in America’s rural schools. For a recent report, Voices from Rural Oklahoma, Juliet Squire and I spent two weeks traveling throughout Oklahoma, conducting focus groups with members of r ural communities across the state. We covered a lot of ground in these conversations, touching on issues like education funding, high school students’ course options, post-high school opportunities, and school consolidation. 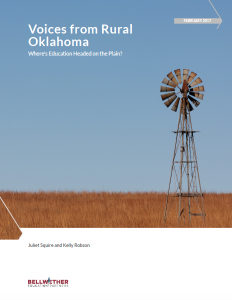 In each and every focus group, participants conveyed uncertainty and disagreement about what Oklahoma’s rural schools ought to be preparing students to do once they graduate. The economic realities of rural communities have changed significantly in recent decades, and in Oklahoma they fluctuate with the volatility in oil and gas markets. Community members may know well what skills and education credentials are necessary to get a job in their small town. But they have less information about what is needed to be employable in a different city or state, and even less understanding of the skills and knowledge that will be needed ten years from now. Thankfully, rural communities don’t need to choose between “college for all” and high-quality CTE. Instead, state policymakers, business leaders, and education leaders can work together to help students and families understand and navigate their options. This includes listening to and accounting for the perspectives of students and parents, as we sought to do in our report. But it also involves a broader understanding of where the economy is, where it’s headed, and what skills and education will be necessary for students to thrive. With thoughtful coordination among the various actors and decision-makers in rural communities, students and families can be better positioned to make informed decisions about their educations and careers. 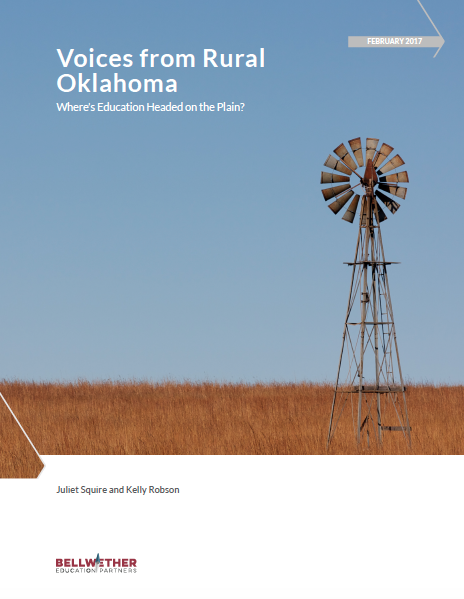 This entry was posted in Education Policy, Politics of Education, Research, Rural Education, State Education Policy and tagged Oklahoma, rural education, rural schools on March 1, 2017 by Kelly Robson.